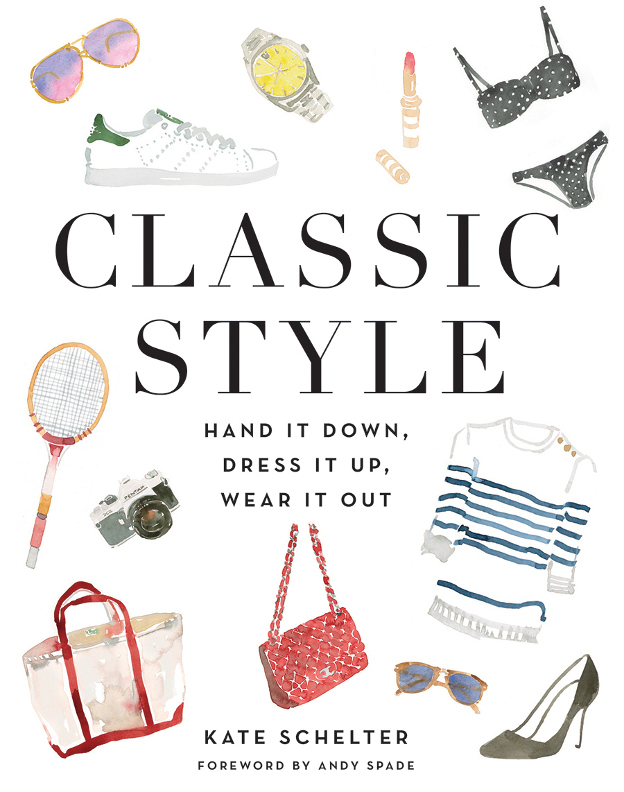 A gorgeously illustrated guide to “the classics”: the essential clothes, accessories, beauty products, and timeless everyday objects that define your personal style. 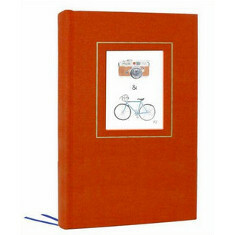 In CLASSIC STYLE, fashion expert and illustrator Kate Schelter curates a collection of more than 150 iconic, essential classics—clothes, accessories, beauty products, objects, and travel items that exemplify great design, simplicity, and timeless style. Balancing the trend toward minimalism with a dose of charm and personality, Kate shows you how to develop (and celebrate!) your own style by following an easy mantra: buy less, buy better, reinvent what you already have, and own your look. 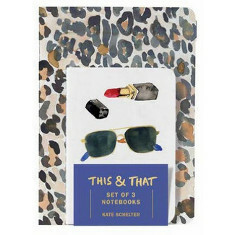 Now in her first book, she guides readers through these principles in a mix of stunning watercolor illustrations, stories, memories, quotes, and advice from a collection offriends and mentors in the fashion world. 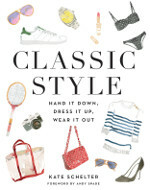 A visual gem, CLASSIC STYLE will inspire you to pare down those stuffed closets and storage units, find joy in simplicity and usefulness, and rediscover the one thing that is truly essential to personal style—you!